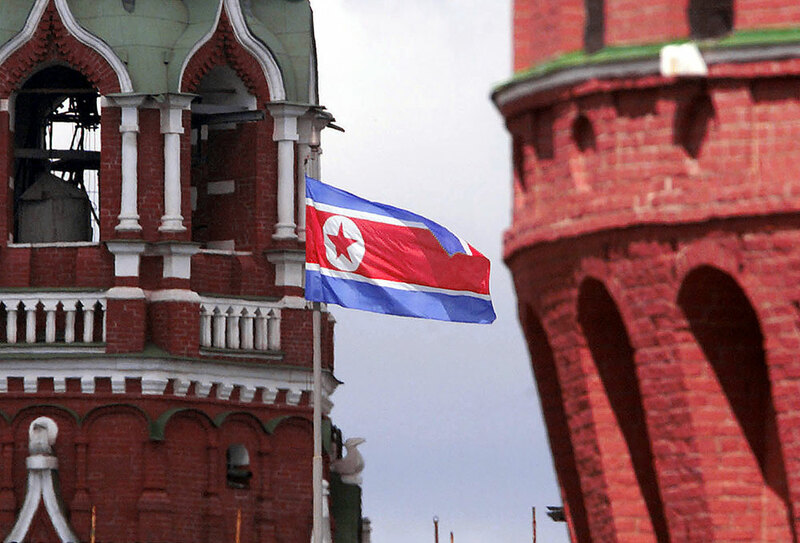 The North Korean flag flies between towers on the walls of Moscow's Kremlin. The Russian missile warning system has recorded the launch of a missile from a North Korean submarine but has not qualified it as a threat, a source with knowledge of the situation told Interfax-AVN on April 23. “The missile warning system certainly noted this launch. But, considering that this was a tactical missile and the trajectory of its flight was not directed toward Russian borders, the system did not qualify it as a threat,” the source said. South Korean media outlets had reported earlier that North Korea had carried out another missile test, this time around launching a missile from a submarine off the country's northeastern coast.